A passion for car restoration turns into a major business of unique pieces. I recently had the pleasure to work with and get to know Mr. Donald Pirre when he purchased an Industrial Paint Wall for his company, Coat of Chrome. He told me that he “chromes” anything, and I was intrigued. 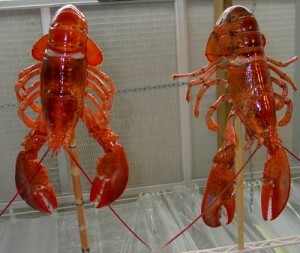 Don is not just a “chromer” (is that a word?) … but he is a true artist and master of his trade. Can you really chrome anything? Let’s see. 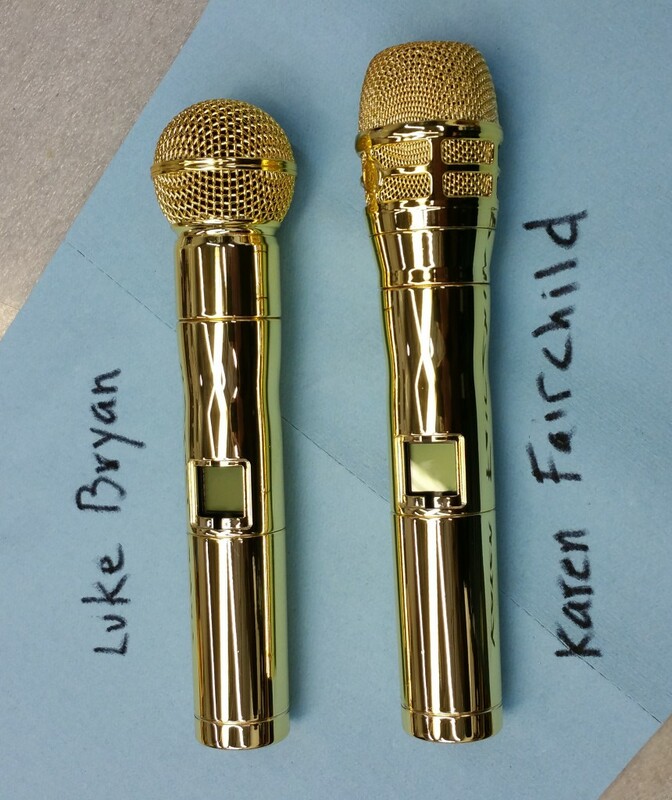 Gold chromed microphones for famous singers? Check. 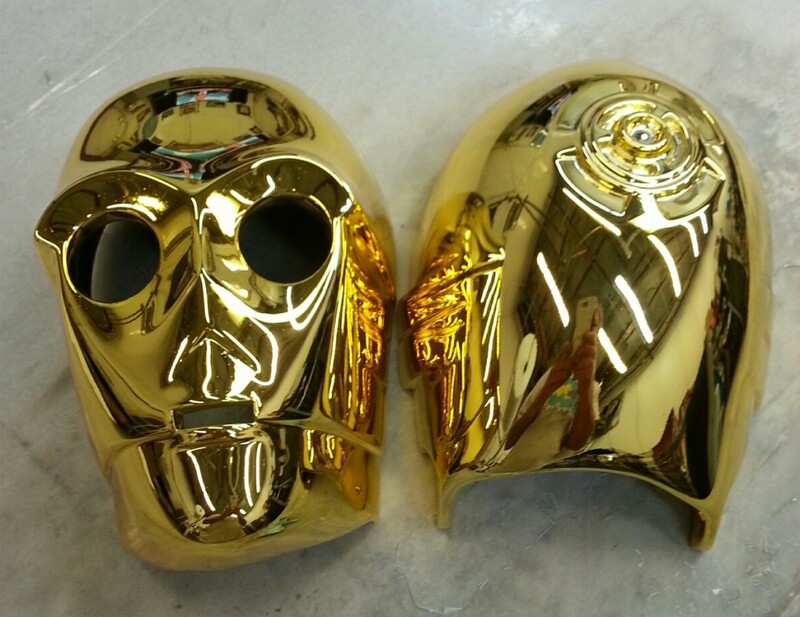 Gold Chromed mask that looks like it belongs in the next Star Wars movie? Check. Silver Chromed Football Trophy? Check. Coat of Chrome was born out of his passion for restoring classic antique vehicles. His award winning automobiles include a 1967 Chevelle Malibu convertible and a 1967 Chevelle SS convertible. He discovered that it was a challenge to re-chrome parts due to the expense as well as the lack of service providers. Don learned of a process used in Canada and Europe, which was not only effective for his auto restoration but also for numerous other applications. He went to Canada and learned from the experts and came back to open his business in 2003. 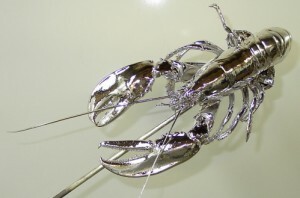 Coat of Chrome can coat any type of material (metal, wood, glass, plastic, stone, fiberglass, ceramic, even fabric, etc.) with a mirror-finish, silver-metal coating that exactly duplicates chrome plating or colored chrome finishes. Don was a professional chemist for nearly 30 years. 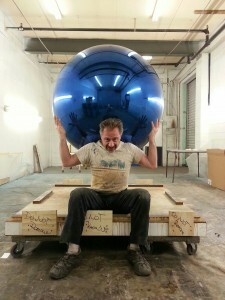 Along with his knowledge and skill in the automobile world, he does amazing things. He doesn’t just do vehicles! Don works with some of the top brands today, such as Victoria Secret and Nike Pro. 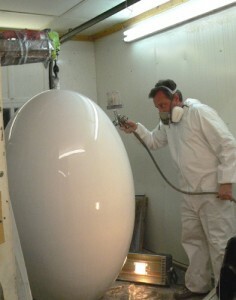 The area he uses for the coating process (which is professionally hand applied) must be done in a controlled, and clean, environment. 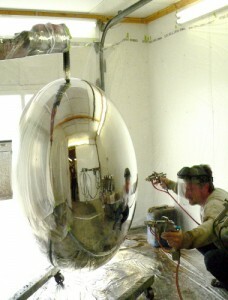 Since this process results in a mirror-like finish, all imperfections that are “chromed” will be visible in the finished piece. 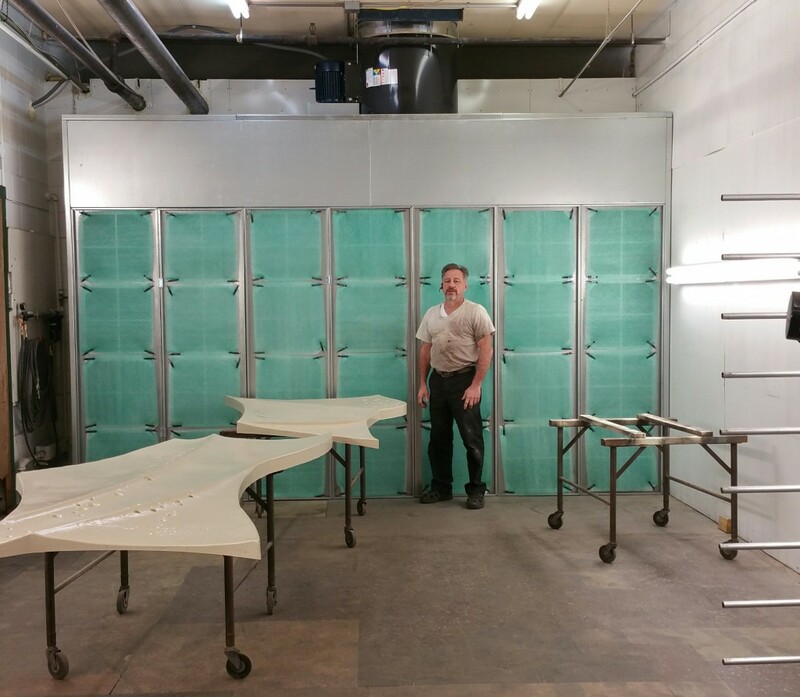 The industrial paint wall, from Standard Tools, fits in his work space and provides the airflow he needs to pull all debris, fumes and over-spray our of the building. Don shows us that although the paint booth wall is technically a box, you can still “think outside the box.” It is amazing to see the beauty that can be created. We can’t wait to see what Don will be up to next! Jen, it was nice to get to know you and others at Standard Tools and Equipment Co. You did a great job with the fabrication of the booth as well as the write-up you created. I’ve been busy in the booth with the exhaust wall generating some amazing stage backgrounds and many props for the Disney Aladdin show for multiple sites around the world. Happy to share some of those pics with you if you like. Don, We would LOVE to see all the photos you want to share. You’re doing some great work! Thanks! Next Next post: We are the manufacturer. Made in the USA. (In Pictures).